NOTICE: Activation key must be used on a valid Steam account, requires internet connection. ABOUT THE GAME	What if you could rewind time? Follow the story of Max Caulfield, a photography senior who discovers she can rewind time while saving her best friend Chloe Price.The pair soon find themselves investigating the mysterious disappearance of fellow student Rachel Amber, uncovering a dark sid… e to life in Arcadia Bay. Meanwhile, Max must quickly learn that changing the past can sometimes lead to a devastating future. KEY FEATURES A beautifully written adventure that explores real world issues with a different take on story-based choice and consequences. Find your way as Max, a teenager struggling to follow the road less travelled and make her mark on the world. Rewind time to change your choices in a story that twists and turns along different paths towards different endings. Striking hand-painted visuals and a distinctive indie soundtrack are integral to the captivating atmosphere of Life Is Strange. Play Life Is Strange on almost any modern Mac or Linux PC; it has very modest system requirements and a low price per episode. 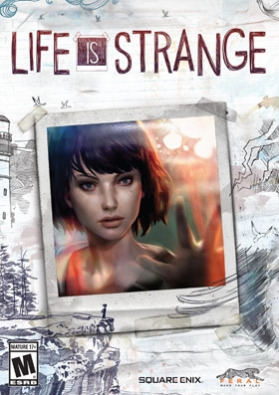 Buy all five episodes of Life Is Strange together, right here right now, or begin the adventure for free on Steam with Episode 1: Chrysalis.SYSTEM REQUIREMENTS Minimum Requirements:OS: MAC OS X 10.11 El CapitanMemory: 4 GB RAMProcessor: 1.8GHzHard Drive: 15 GB available spaceGraphics: 512 MB	Recommended Requirements:OS: MAC OS X 10.11 El CapitanMemory: 8 GB RAMProcessor: 2.4GHzHard Drive: 15 GB available spaceGraphics: 1024 MB Life Is Strange © 2015, 2016 Square Enix Ltd. Originally published by Square Enix Ltd. Originally developed by DON’T NOD Entertainment SARL. SQUARE ENIX and the SQUARE ENIX logo are registered trademarks or trademarks of Square Enix Holdings Co., Ltd. LIFE IS STRANGE is a registered trademark or trademark of Square Enix Ltd. DONTNOD is a trademark of DON’T NOD Entertainment SARL. Unreal® Engine, Copyright 1998 – 2016, Epic Games, Inc. All rights reserved. Unreal® is a registered trademark of Epic Games, Inc. Powered by Wwise© 2006-2016. Audiokinetic Inc. All rights reserved. Uses Scaleform GFx © 2008 – 2016 Scaleform Corporation. Dolby and the double-D symbol are registered trademarks of Dolby Laboratories. Developed for and published on Linux and Mac by Feral Interactive. Linux® is the registered trademark of Linus Torvalds in the U.S. and other countries. Mac and the Mac logo are trademarks of Apple Inc., registered in the U.S. and other countries. Feral and the Feral logo are trademarks of Feral Interactive Ltd. All other trademarks are the property of their respective owners. All rights reserved.